For the purposes of this review I requested a Kent Wang Bauhaus V4 from Kent Wang. I wore it for approximately ten days then returned the watch to them. This was not a paid review. 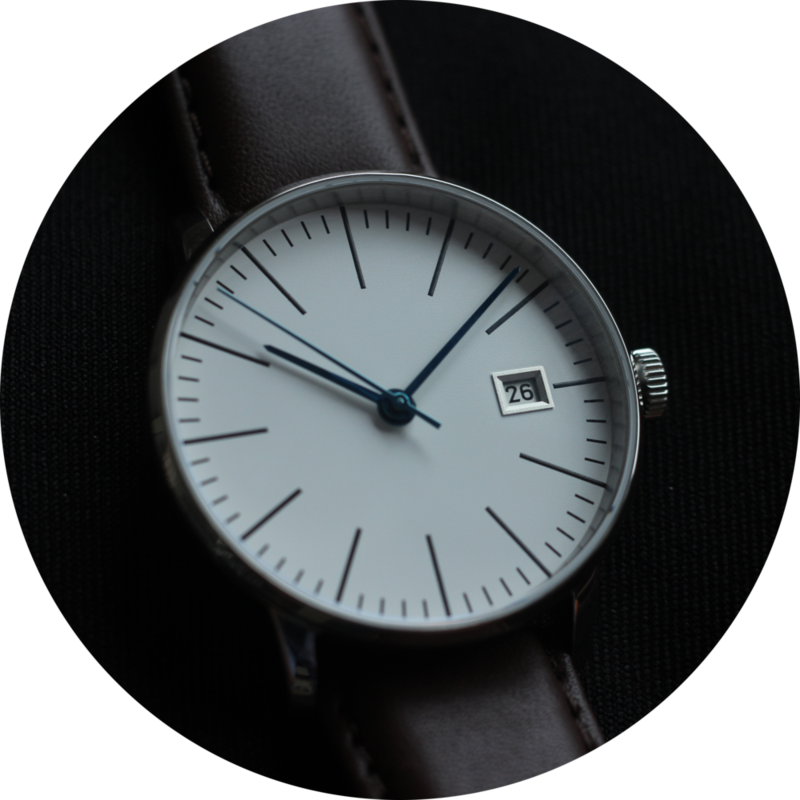 When I first contacted Kent Wang regarding their Bauhaus watch I was under the impression I'd be reviewing their V3 model so when they responded saying that the V4 would be ready in a week if I was willing to wait. Obviously I was but when I read the email again I found out the size of the newer piece, 38mm down from 39mm. To the uninitiated a millimetre either way seems a very inconsequential difference yet for those in the watch world that one millimeter might as well be a mile. For the last three years I've been a one watch man and there has barely been a day when my Zenith Captain Dual Time hasn't been keeping time on my wrist and I've gotten used to it's 41mm size. For that watch I think the size is perfect so the notion of a 39mm being slimmed down to 38mm made me very apprehensive. I'm not waving the flag here for 54mm dress watches and I'm not against smaller watches but I was worried the size would be distracting whilst wearing it. The simple design elements that are so key to the Bauhaus aesthetic would only make the watch seem smaller I thought. Bauhaus is probably one of the most influential school of designs in the past hundred years as it's influence can be seen all over the world in mid-century furniture to post-modern steel, glass architecture to even the entire minimalist Ikea catalog. Bauhaus really got traction in the wake of World War I as a reaction to the dominant Art nouveau of the period and later Art Deco. These styles favoured form over function with subway entrances being adorned with elegant steel gates, door handles that were engraved with vines and flowers and buildings had elaborate frescos of nature. Even the typography of the era was over designed with long serifs creeping over letters, gradually undulating lines that crept from letter to letter whose only purpose was to simply look good. The Bauhaus movement is the complete antithesis of this as it believes that art shouldn't be valued solely on it's aesthetics but on it's technical qualities and that the ideal was not form dominating function but a wondrous harmony between the two. This is what in the industry is known as the "Atom Moore tilt". The movement that powered the V3 was the Japanese Miyota 9105 and this remains unchanged in the V4. During my time with the watch it never lost any significant amount of time that I noticed. Something I discovered whilst photographing the watch is that the movement "hacks" meaning when the crown is pulled out all three hands stay in place allowing for more accurate time setting ( or letting a photographer get that perfect 10.08 shot much easier). Winding the watch felt good and there was no sticking or feeling of uncertainty about what position the crown was in that I felt during my time with the Art Deco watch. Despite having a forty hour power reserve and having a rotor capable of winding in both directions, I found myself winding the watch in the morning mostly out of habit. I'll come right out and say it, the movement is very plain. Whilst the Art Deco has some semblances of decoration despite the obvious removal of certain automatic parts, the V4 has little to no decoration. I think the main issue is the matt steel rotor which takes up half of the sapphire crystal back having no decoration with only the brand name, reference number and country of origin on it. Whilst looking at the movement I started thinking about the artistic philosophy behind the design and again thinking that for a true bauhaus piece any additional decoration should be absent as it serves no purpose so the sparse mechanical nature the Miyota would be very in keeping with Bauhaus. This might be taking the watch's namesake to the extreme yet I'm still wonder for the price of $375, should the absence of engraving truly matter? The answer is obviously no. As before with the Art Deco I believe Tissot is a suitable comparison for the price and I'd probably go with the Bauhaus. Yes it's not a Swiss movement nor is there an illustrious brand history but you're getting a reliable automatic movement, sapphire crystal in a well-made solid case and to get a Tissot of similar specs and design you'll easily be paying another $200. The notion that the Swiss watch industry perpetuates of each watch being a shining example of artisanal craftsmanship is not realistic so for this price point you can go either way depending on preference without too much difference. If it bothers you that the Kent Wang is a Japanese watch then that is your prerogative but then you're not really the person this watch is aimed for. Inside the packaging is a small note from Kent that opens with a friendly "Howdy!" and goes onto explain how an automatic watch works and what you should expect from it. It's fun and friendly and sets the tone perfectly for your experiences with the watch. I'm happy to say that despite my initial misgivings I'm on my way to being a small watch convert. Not that I'll be rocking a 1950's 34mm dress piece anytime soon but one shouldn't judge a watch by it's size alone. The V4 sat really well on my wrist and I can now see what the fuss is all about regarding a 38/39mm dress watch. The lugs curve nicely downwards allowing the watch to sit comfortably on the wrist and despite it not being a micro thin watch, it does fit nicely under a shirt cuff or jacket. This watch has sapphire crystal which adds a little extra depth, especially with the hands sitting quite high off the dial but I'd rather sacrifice some thinness for added resilience. One issue I had with the Art Deco is that it was very hard to read the time at a glance and the clean white dial of the V4 was very legible and very clear to read at a glance. The minimalist look of the V4 is in stark contrast to the intricate sun burst engraving of the Art Deco but the clean simple look of the V4 is perfect for a watch called Bauhaus. In keeping with the philosophy of the Bauhaus the dial has been stripped of anything superfluous and is pure simplicity with a mixture of short and elongated markers. The large sweeping second hand adds life and movement to the dial yet despite the artistic intentions I felt there was a lot of blank space that could have been utilized better. I feel the dial would have been perfected with just a simple KW at twelve. Kent Wang say that they don't want their customers to be walking billboards for the company which is an admirable notion but just a little something on the dial would have made it pop. Even the Bauhaus building had it's name written on the side. The crown has a lot more detail that I would have expected with some nice edged sections around the circumference making it easier to grip and change positions. The strap is a warm brown calf leather which works well against the crisp white dial and I think the alternative cordovan that Kent Wang offer would look really great on this watch. Something that was a nice surprise to me when I opened the package was that the box was a lot nicer compared to the black rigid cardboard one that shipped with the Art Deco. It felt more durable and presented the watch well and I know it is not the end of world either way but it made the experience a lot nicer. Again I would have liked to have seen a brand name or logo somewhere on it but I realise that price is a factor and sometimes decisions have to be made. This isn't a watch aimed towards someone looking to get a new piece of horological history. 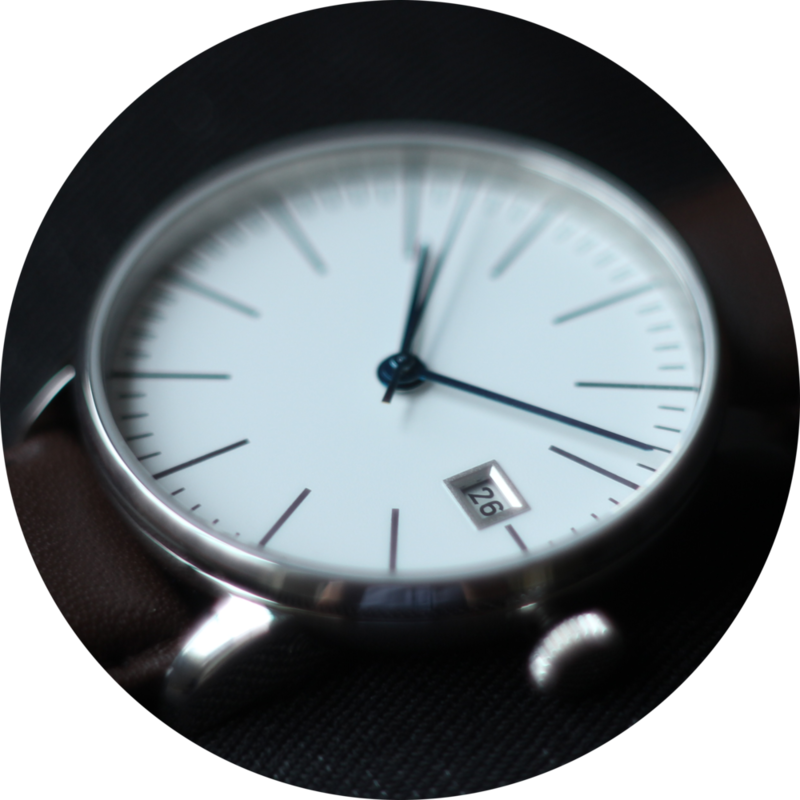 This watch is for someone (man or woman with the smaller size) who wants a good looking everyday watch and in that aspect the Bauhaus succeeds. It's much more of a daily watch than the Art Deco and I felt comfortable wearing this in a T-Shirt and jeans or in a shirt and suit jacket without thinking twice about it. The holiday season is fast approaching and for those thinking of getting someone an affordable, well-designed and well-made watch then you couldn't go wrong with the Kent Wang V4. I'd like to thank Kent Wang for providing me with the V4 to wear. To see their full collection of watches and clothing then click here. You can also follow them on Instagram/Twitter. Did you enjoy this article? 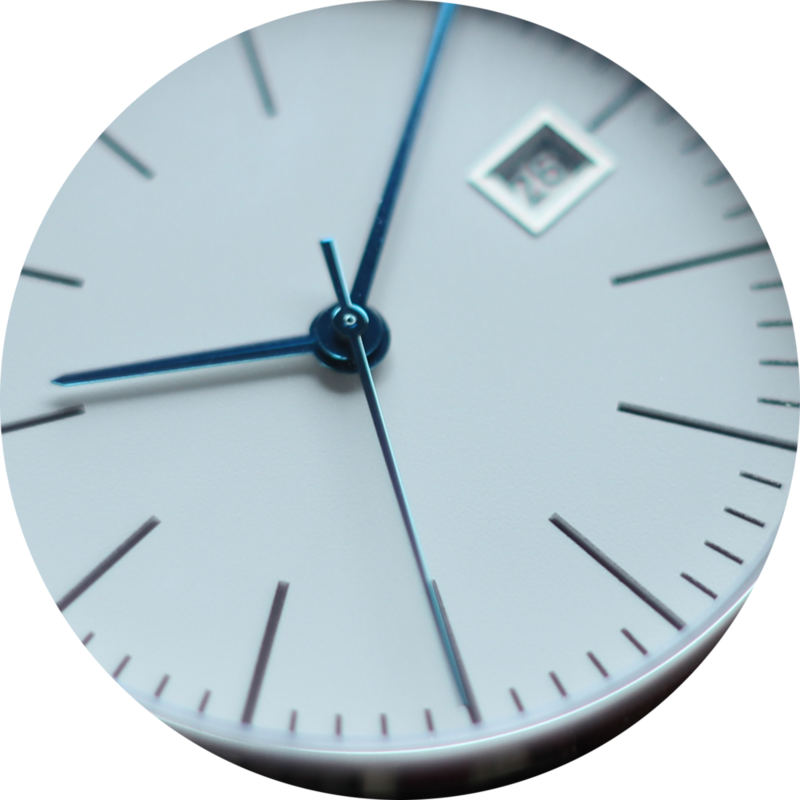 If so then by signing up to the Timepiece Chronicle newsletter you'll get weekly updates on everything published to the site.